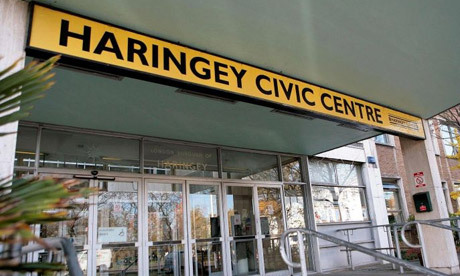 Haringey’s communities are being urged to have their say as the council begins the work of making budget decisions for the coming three years. The council is committed to working with local communities to create a more equal borough where the ambitions and aspirations of all residents are supported. But government cuts have led to more than £100million being taken from the council’s budget during the past four years. And with a further £70million set to be cut during the next three years, there are some very tough decisions to be made. Through its Investing in Our Tomorrow conversation, the council is calling on local people to share their views on the borough; what they value most about living and working in Haringey; where funding should be prioritised; which services matter most, and how the council and the community can work together to improve Haringey. Cllr Jason Arthur, Cabinet Member for Resources and Culture, said: “There’s no hiding from the fact that we’re facing some very difficult decisions. The role of the council will have to evolve and we won’t be able to continue to offer all the same services as we do now. “However, despite the serious challenges ahead, we’re clear that we’re not prepared to simply sit back and manage decline. Instead we want to find a way of empowering our communities so that together we can continue to make Haringey better. “We remain committed to supporting families and children; creating safer and healthier neighbourhoods; supporting our economy, and delivering better housing. Residents can complete the online survey at www.haringey.gov.uk/ourtomorrow, contribute at area forum meetings or come along to any of the road show sessions, which start from September 23.